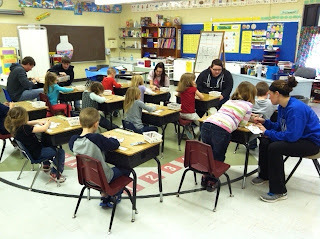 effects which were enjoyable to the little kids. (More pictures below). 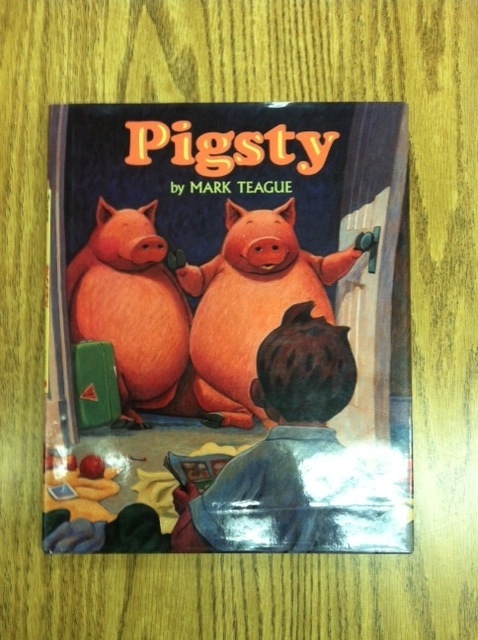 Students in the Junior class read this book to the first grade students. 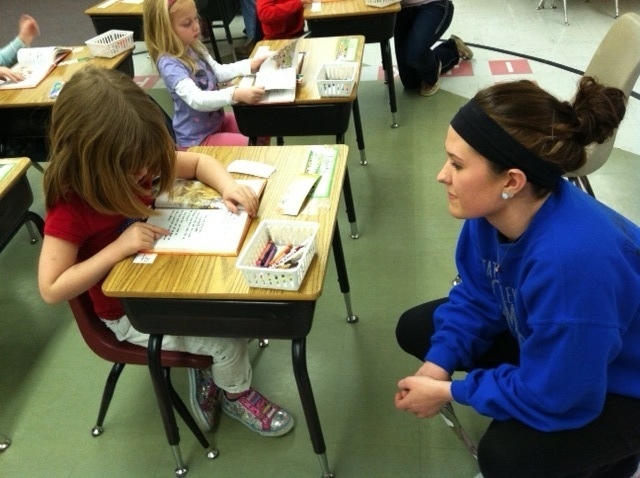 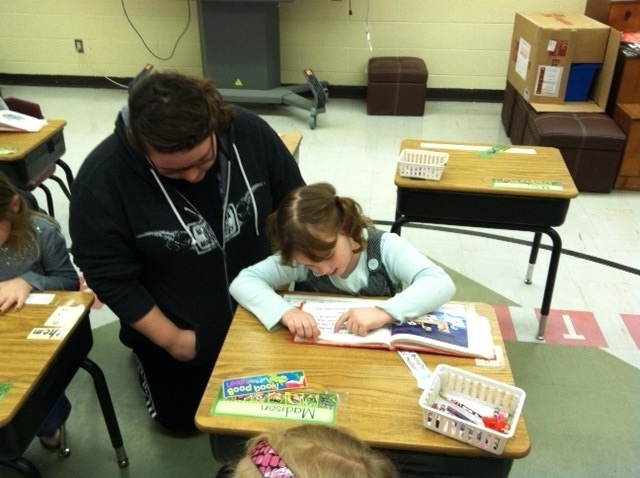 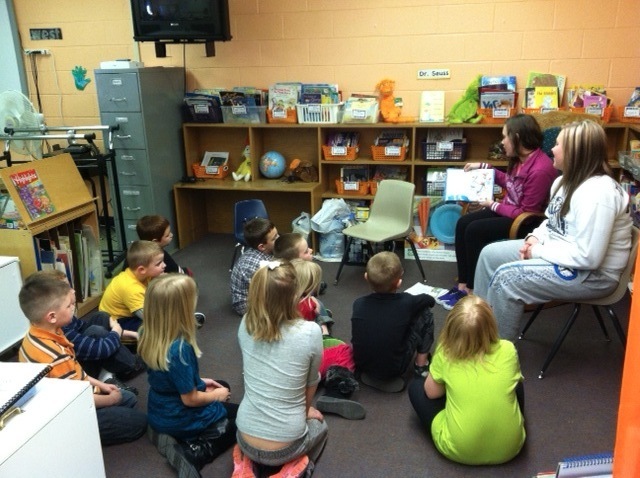 The Junior girls, Meridith and Logan read to the first graders and….. 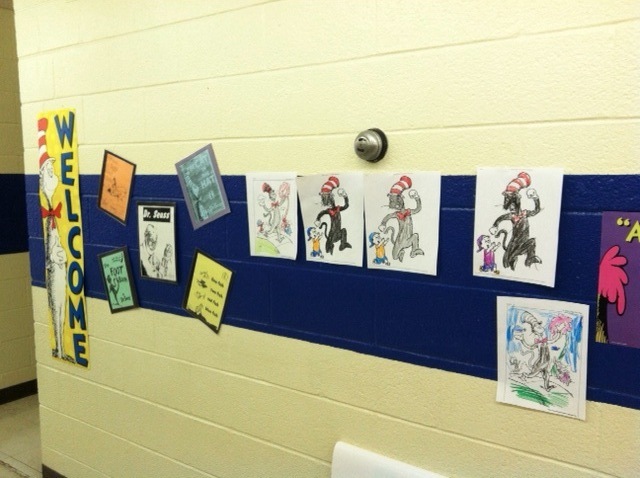 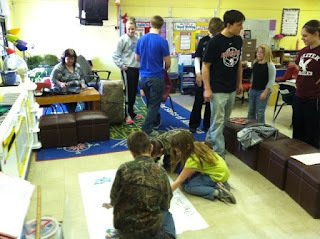 The older kids helped the younger kids with a Cat in the Hat coloring activity. 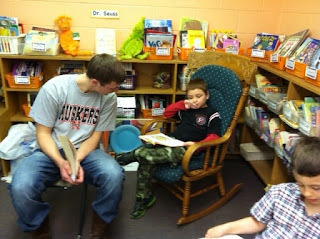 amazed at how well the younger kids can read. Trenton read his story book to Garrett. 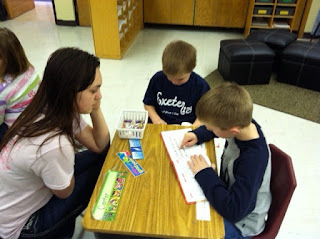 Savana K. read her story book to Logan. 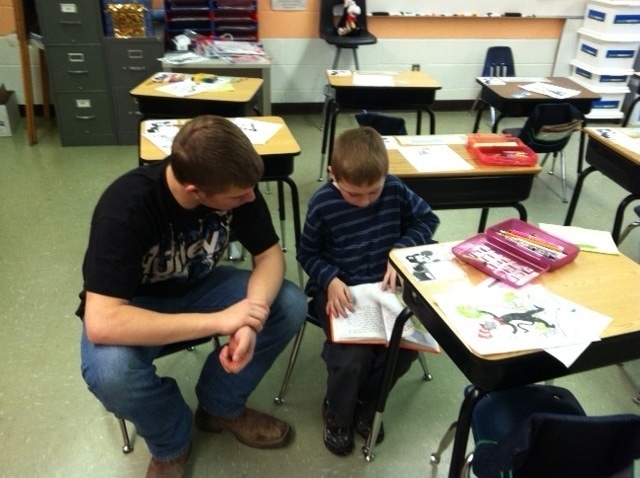 Andrew read his story book to Cody. 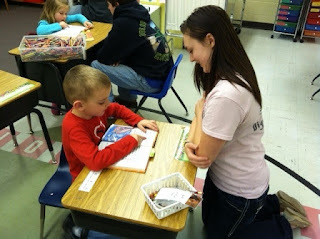 Tyler read his story book to Meridith. 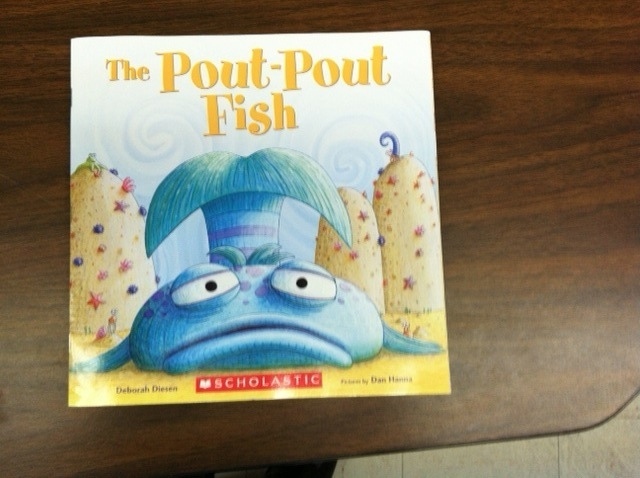 Britney, Deidra, and Erica red the Pout-Pout Fish while Robert and Alex made some nice pouting sound effects. 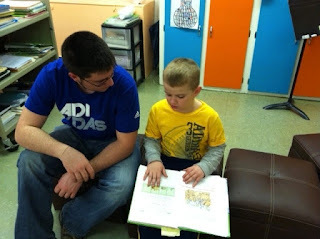 Dravin read his story book to Nolan. Juniors read this book to the second grade students. 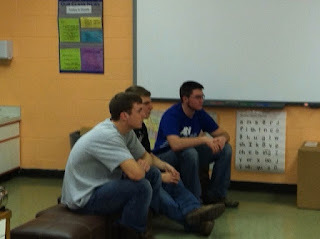 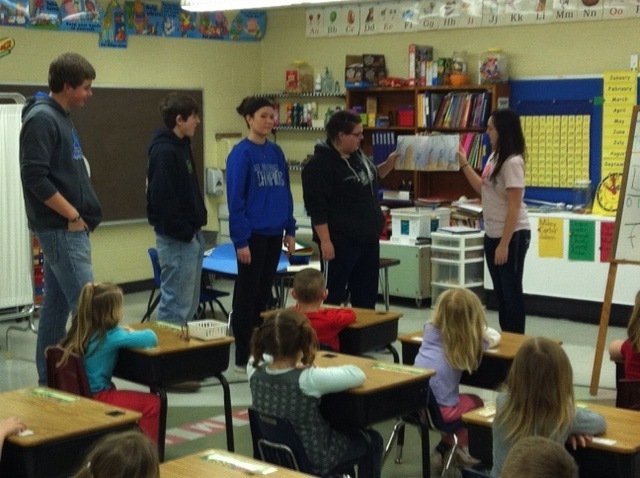 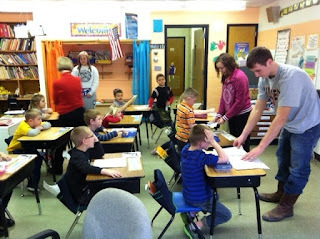 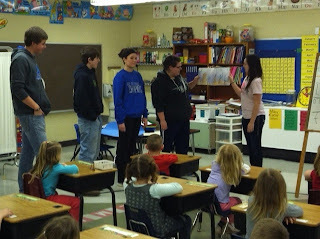 Kylie, Brooke, James, and Nathan read while the second grade students were attentively listening. 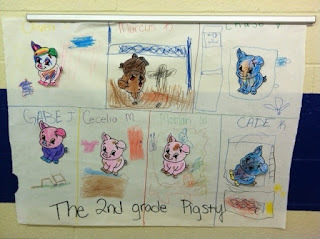 With the help of the older kids, the second graders colored their own pigs and made their own pigsties. 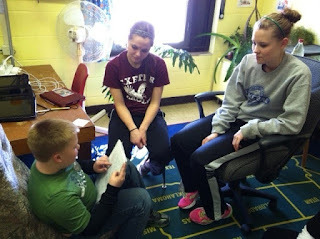 Chase read a story he wrote to Brooke, and Kylie. The end product of the second grade class is a picture of each student's pigsty. 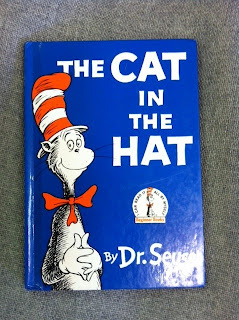 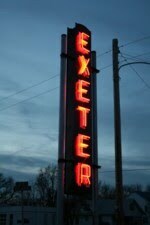 amazed at the number of people in the world that cannot read. 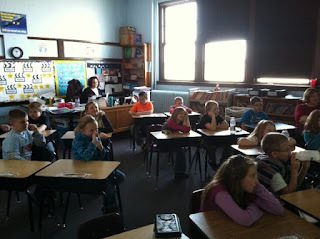 Fourth graders Listen as Malinda reads to them. 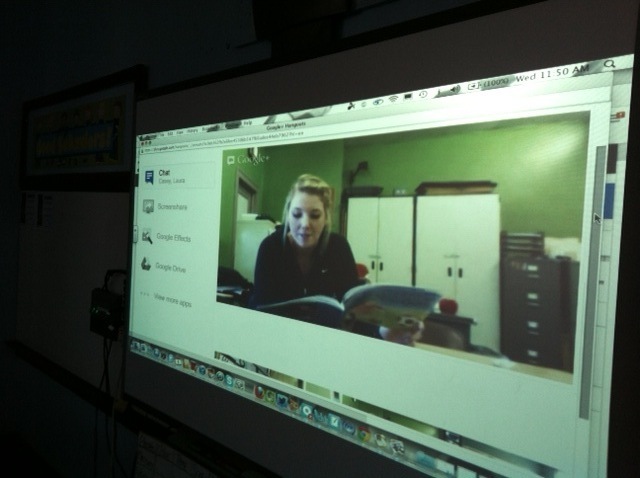 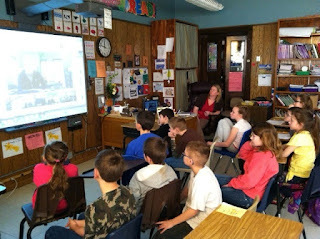 Third graders also participated in the google hangout. 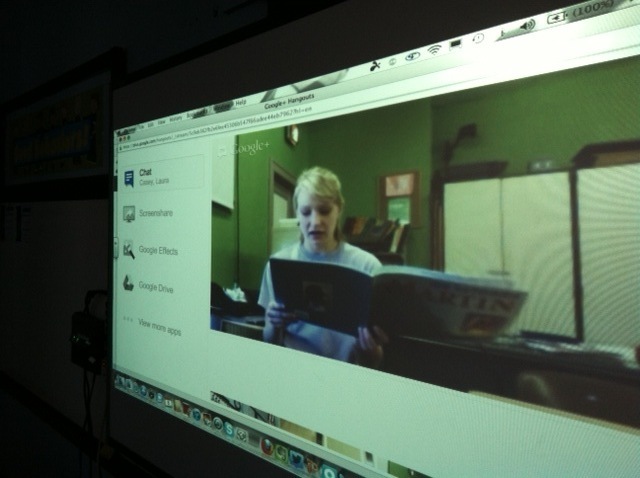 Jackie also read a story. Once the coloring activity was over, it was the little kids turns to show their skills and read to the older kids. 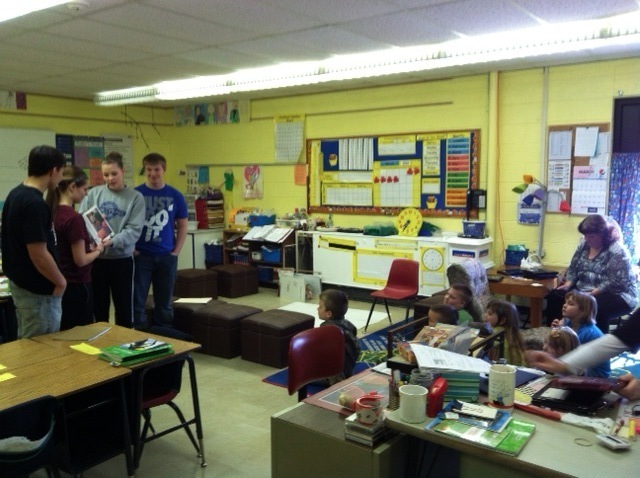 Carter and Mikey read their reading book to Deidra. 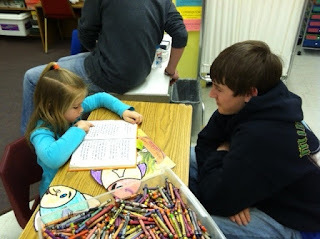 Kierra read her story book to Robert. Liberty read her story book to Erica. 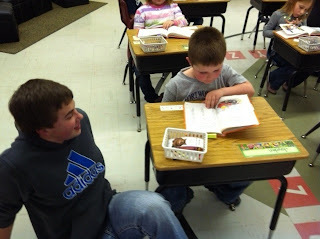 Jayden read his story book to Alex. 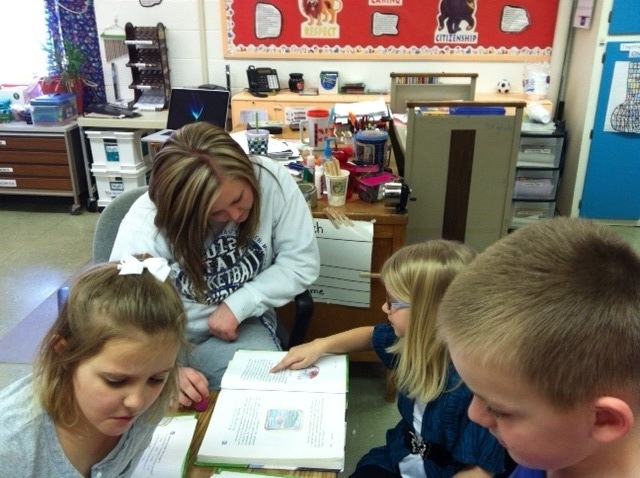 Madison read her story book to Britney. 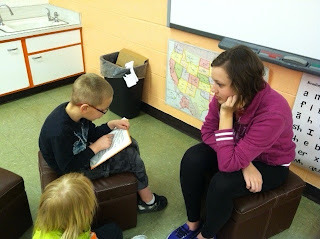 Aidan read his story book to Deidra. What a wonderful way to support and encourage reading! 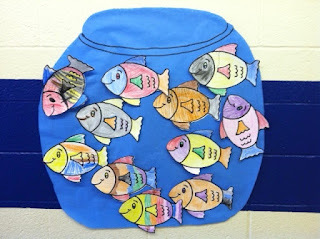 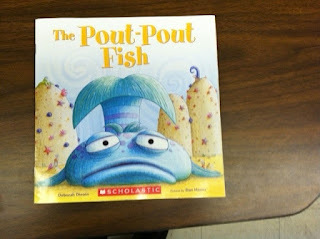 Thank you for including The Pout-Pout Fish in your activities.